Charity Golf Day raises most magnificent amount by par! 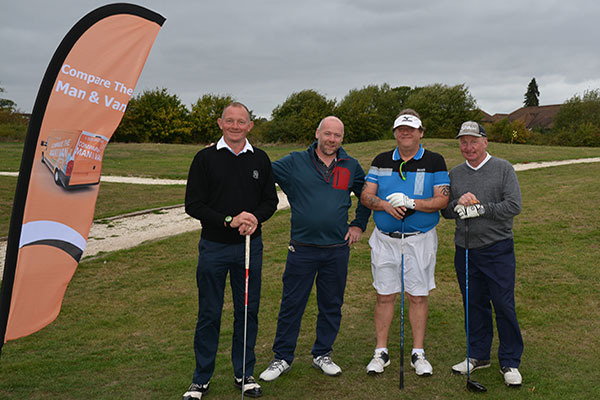 Colin Rose, a dedicated supporter of the charity, held an autumn Charity Golf Day to raise thousands for Shooting Star Chase. 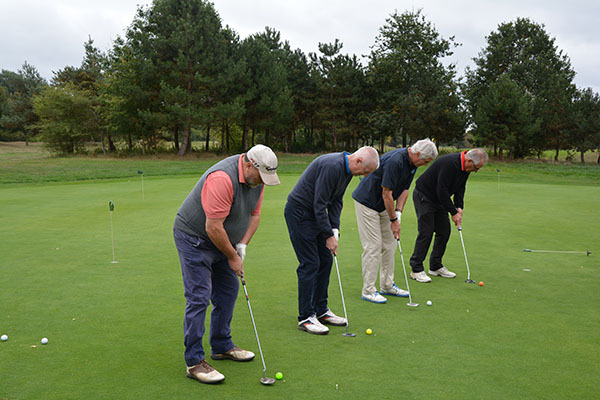 The day, held at Sutton Green Golf Club, welcomed over 70 generous golfers to the event which included a ploughman’s lunch, 18 holes and a delicious two course dinner. 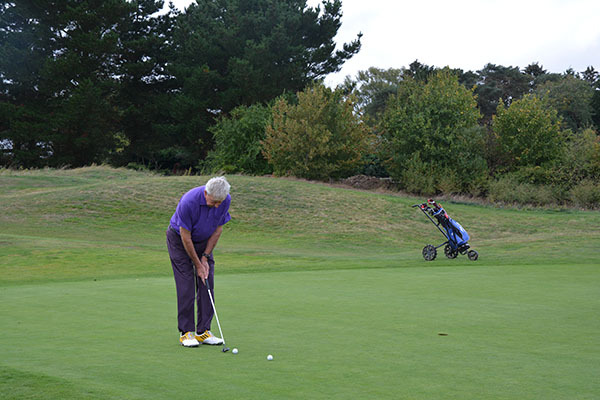 There were various competitions held throughout the course to help raise as much as possible, including a Par 3 and Putting challenge, before the players took shelter from the windy weather in the clubhouse to enjoy a celebratory drink and peruse through the many silent auction prizes. 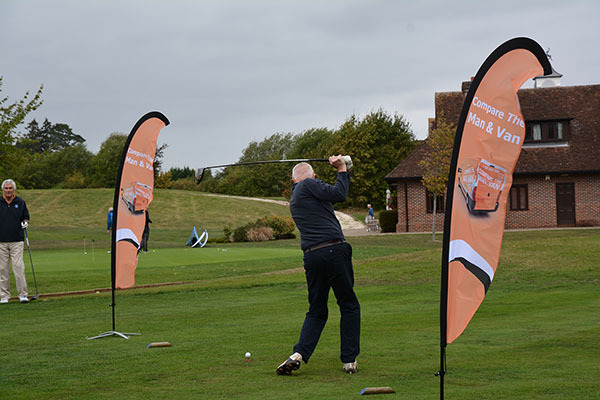 Lots included Ray-Ban pilot sunglasses, various four ball vouchers for some superb golf courses in the area, and an afternoon tea at the Bingham Hotel. During the dinner, the guests took part in a game of Heads & Tails, before the main auction took place, with even more amazing prizes up for grabs. These included two tickets to the BMW PGA at Wentworth, a four ball voucher for Hankley Common Golf Club, a Powakaddy electric golf trolley, a spa day for two at Champneys and much, much more. 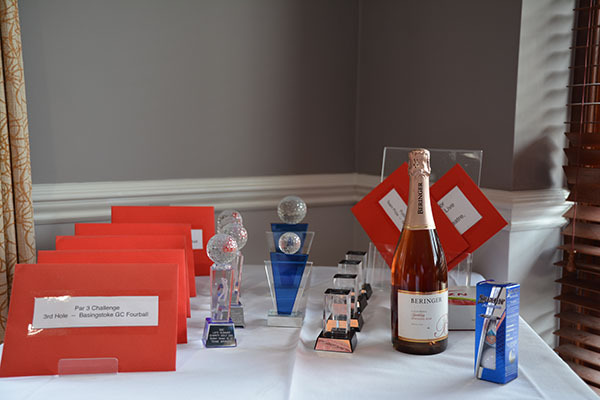 The silent auction and main auction alone raised an amazing £5,900. The day was very kindly sponsored by The Fry Group, Lexus Twickenham, and the main sponsor for this year Compare the Man & Van. The whole event raised a record-breaking £25,869 which will go on to help provide vital care and support for children with life-limiting conditions, and their families who are facing unimaginable circumstances.